Transfers to Moutiers are available from 3 different airports with Ben’s Bus. Our network of shared transfers include buses from Geneva Airport to Moutiers, Grenoble Airport to Moutiers and Lyon Airport to Moutiers. We also have direct shared shuttles from Geneva, Grenoble & Lyon Airports to the following resorts: Val Thorens, Les Menuires & St Martin de Belleville. 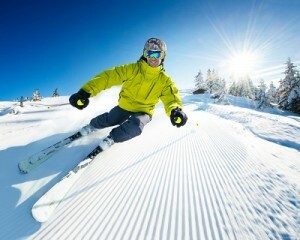 From Geneva Airport we have ski transfers to Mottaret, Meribel, Les Allues & Brides Les Bains. We run Moutiers airport transfers on week-ends (and Fridays from Lyon Airport) during the 2018 / 2019 ski season. Our shared transfers operate from 8th December 2018 – 20th April 2019, depending on which airport you use. We operate many shuttle buses each day and we generally transport passengers in large coaches, which means cheaper fares and less environmental impact. 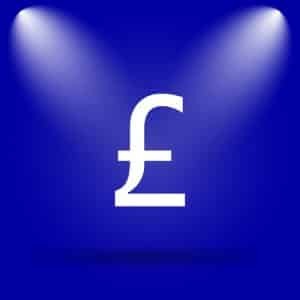 With our fantastic discounts for groups and Children, our prices start from just over £66pp Return. Use our Instant Quote form to get a price and to see our bus times. 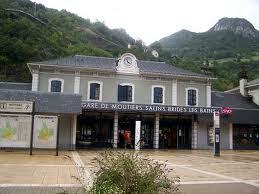 Our buses drop and pick up our customers from the main bus station in Moutiers, the “Gare Routiere”. Please note that we do sometimes have to use other bays so keep an eye out for our buses. Our airport shuttle buses to Geneva, Grenoble and Lyon Airports all drop you off at and pick you up from Bay Number 4. Moutiers is about a 2 hour drive away from Geneva (119km), Grenoble (157km) & Lyon (162 km) Airports. However, the traffic on the roads leading into and out of Moutiers can be extremely busy at week-ends. During the school holidays, the traffic is especially bad, so we allow more time when necessary. Moutiers is a village of about 4,000 inhabitants, situated at the start of the Tarentaise valley on the main trunk road, the N90. It has a train and bus station, which serves as the main transport hub for Meribel, Courchevel, Val Thorens and the other ski resorts of the famed Les 3 Vallees. The Moutiers Tourist Office has more information about this. They can also tell you about local hotels, restaurants, taxi companies and points of interest. See the section below for more information. When you arrive at Moutiers you have a variety of transport options to get you to your final destination. We have listed them below. The train station, located right next to the bus station, has high speed trains (TGV) and regional trains passing through. From here you can make connections to get to many national and international cities and towns. Check out the SNCF website for more train information. Ben's Bus will drop you at the main bus station in Moutiers. From here there is a very good network of public buses to the surrounding ski resorts. The Altibus website has information about local buses. Don't Forget! Ben's Bus runs services from its airports to most of the ski resorts surrounding Moutiers. Click on the correct airport above to see if we service the resort that interests you. There are usually many taxis hanging around the bus station in Moutiers. However, we would always advise to book taxis in advance on Saturdays as they can be very busy on transfer day. 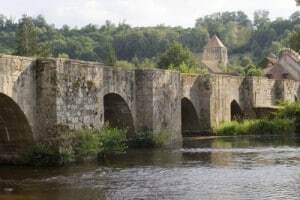 Once you book our service to Moutiers, we will give you details about how to get a 10% discount off private transfers with our local taxi partners. Moutiers bus station is located in the centre of town, on the Avenue de la Gare. It is right next to the train station. Together, they are known as the "Gare Routiere". Our buses usually arrive and depart from Bay Numbers 1 or 4. Sometimes we may have to use other bays, so please be alert for any vehicle with a Ben's Bus sign in the windscreen. Please note that our bus information will not appear on the TV screens in the waiting area.